Long overdue blog post number 2 this week. As Miranda’s mum would say, “bear with”! Topic: Modern Quilt Show Australia, hosted by Wollongong MQG in Kiama, 30th & 31st May. Okay, right off the bat… I couldn’t attend this show as I’d absentmindedly booked myself out to teach in Brisbane this weekend. Rookie mistake. I will be making this show a priority in my schedule in the future as I heard so many wonderful things about it by those who did attend. Great vibe, exciting quilts, engaging discussions about where modern quilting stands today in Australia. So, my only means of participating were by submitting two quilts for inclusion in the show. I have to congratulate the hardworking selection panel who picked the quilts to hang in this show, only the second time this event has been held. It’s a lot of work and not all the decisions are easy. From what I could see on social media that weekend and follow up blog posts, the show was a great success. Yay! When I put my two quilts forward for inclusion they weren’t (ahem) actually finished, but I didn’t expect to have two accepted so I hedged my bets. I guessed which one would be accepted and started quilting that one. Then I received a notification that both were in and I frantically got to finishing them off. To put this in perspective I’d been busy finishing two quilts for the Sydney Show and wrangling together a GWSMQG group quilt entry too. In short, the house got very messy, and I probably wasn’t super social! I was really happy with my finished quilts, Squircles was started at Quiltcon back in February in Carolyn Friedlander’s Aerial Grove class. I really, really loved making this quilt. I loved the freedom of not using a template or marking pen for the applique technique, I loved finding a variety of prints that would let the gorgeous Lecien yarn dye in the centre shine and I loved piecing the whole thing together like a jigsaw puzzle without referring to a pattern. The improvisational quilting was a steep learning curve as I’d never tried portioning up a quilt top before and using a different pattern of straight line stitching in each section. It did break the job up and it made it less boring, which seems to be my main issue with quilting. It was still hard to wrangle though, 78″ x 78″ is not a huge quilt but it was still rather hefty to push through a domestic sewing machine. 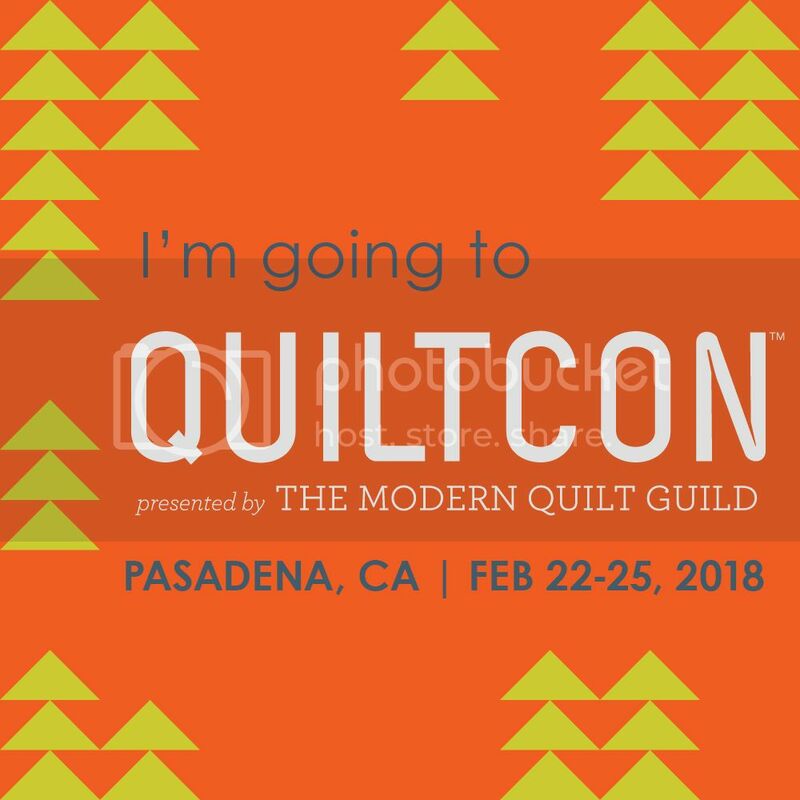 When I had finished both entries I treated myself to some hand quilting watching Carolyn’s Handwork Is Fun Webinar on the MQG website (members only). What a treat! I was thrilled to have both my quilts included in the Modern Quilt Show and so excited to hear that I Have This Thing With Floors got a Judges Commendation. Completely unexpected! Nothing for Squircles but it is now one of my favourite quilts! Here’s a list of all the winners. I did have a hand in a few other winning quilts at the show: Our GWSMQG group quilt won 2nd place in the Group category, My daughter Sofia won 1st Place in the Youth category and another group quilt made with the fun gals I went to QuiltCon with earlier this year won 3rd place.